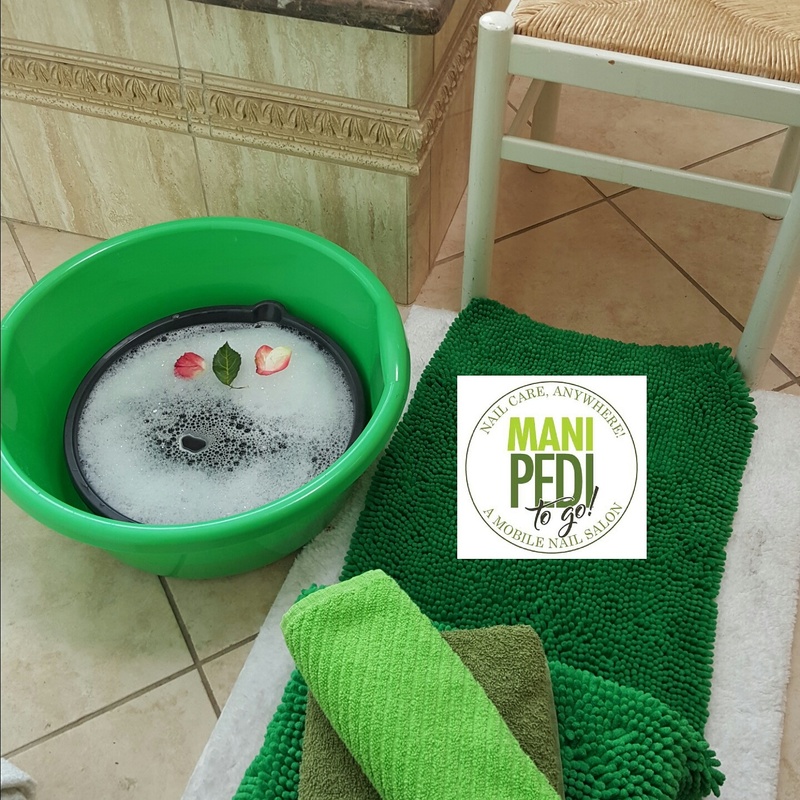 Manicures & Pedicures To Go is a mobile nail salon service, that delvers to Los Angeles and surrounding areas offering bedside &/or wheelchair friendly manicure & pedicure services direct to your home, hospital, office, care facility or other similar location. Our in-home and on-site mobile manicure services are perfect when traveling to the nail salon is impossible or inconvenient. Its especially perfect for our cancer fighters, those undergoing cancer treatments & other life threatening medical treatments. Allow our gentle, polite, & professional mobile manicurist(s) to travel to you! Our screening process is thorough. Our team of mobile nail technicians are uniformed, highly skilled, & licensed by the state of California. Our focus is providing a convenient, healthy, relaxing, in-home or on-site nail care experience while maintaining the highest level of cleanliness. While our traveling nail services are open to anyone we cater to the niche that most mobile nail services don’t. We’re a safe haven for individuals living with chronic health conditions such as mobility limitations, bed rest orders, immuno-suppressed conditions, cancer, hospice, & other special needs conditions. We’re also seasoned in providing patient, gentle, in home nail care for seniors & the aging population. Our private, mobile nail spa-like services are perfect when accessing nail care in the traditional manner is not an option due to medical reasons or other personal circumstances. Proper sterilization is our utmost concern and we utilize the strictest sanitation procedures, above the state required minimums. Files and buffers are single-use only. Every client gets a fresh set! Our disposable pedicure liner system eliminates the possibility of cross-contamination and offers a worry free pedicure service with every client, every time. I had a party and they arrived on time wearing adorable uniforms. They made a homemade sugar scrub that smelled wonderful and serviced 10 women without one complaint. I was wowed by the tidy compact mobile salon setup. I would definitely use this service again. I was worried about getting both “services” as a guy, but the ladies helped me relax and took the time to show me how to take better care of my nails. Professional, on-time, energetic, and hygienic nail service. Main Pedi To Go can’t be beat! It’s wonderful that patients don’t have to give up their nail beauty while facing health challenges or serious life-threatening circumstances. Nail services are a welcome addition to palliative care. I felt great just watching my patient get pampered bedside. Dr. Horowitz, Cedar Sinai Medical Center, Rehabilitation Dept.